Edward Hopper is known for his paintings of urban isolation, and yet he did some of his best loved work in rural and small town New England. 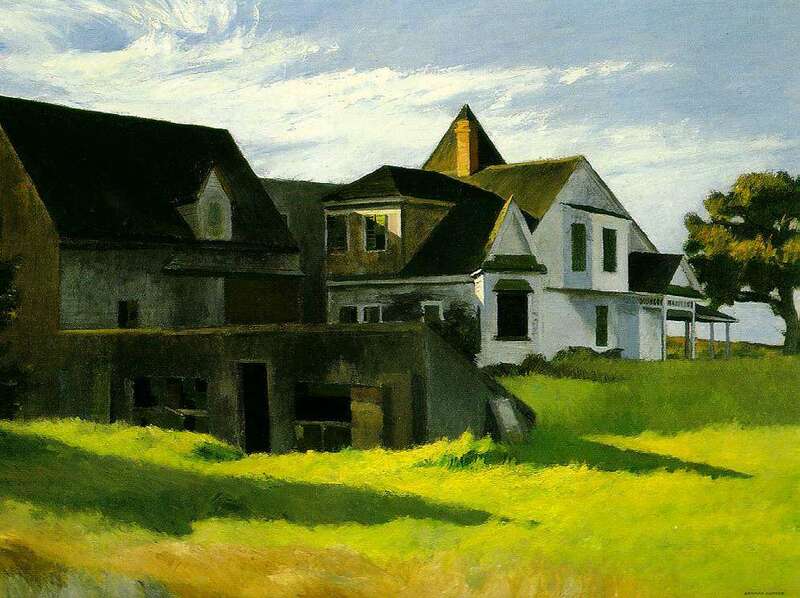 From the time he was 29 in 1912, Edward Hopper spent nearly every summer in New England until his death in 1967. 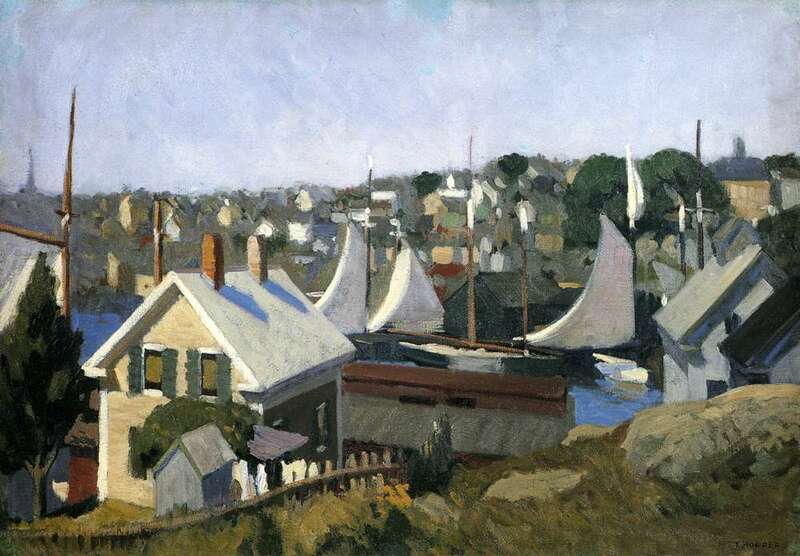 He painted the dunes and cottages on Cape Cod, the rolling hills and farms of Vermont, the rocky shore of Maine, the tenements and fishing fleets of Cape Ann. And all along the coast he painted lighthouses. Lighthouses had not yet become an artistic cliché. 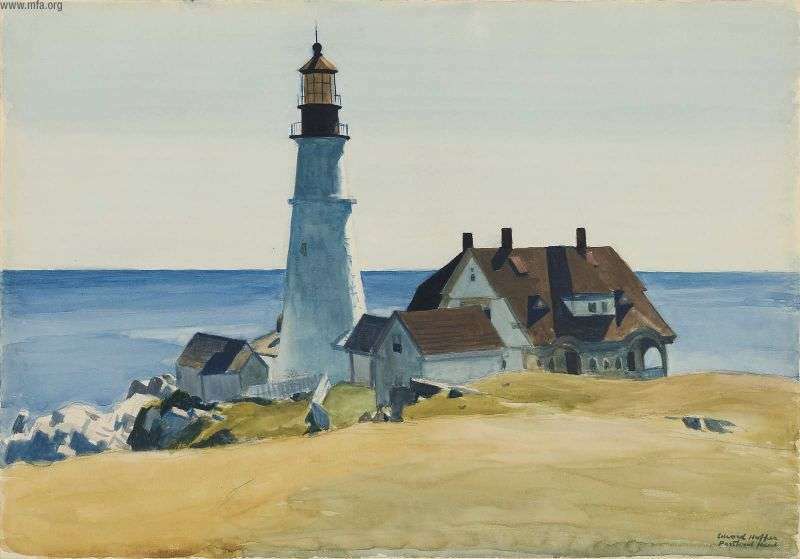 It was Hopper who made the lighthouse a representative and enduring American image, observed Carl Little in Edward Hopper's New England. Edward Hopper was born July 22, 1882, in Nyack N.Y., to a prosperous middle-class family that encouraged his interest in art. He studied under William Merritt Chase and Robert Henri at what became the Parsons New School of Design. To support himself, he went into illustration, which he hated. He took three trips to Europe to alleviate the tedium of commercial work. But in the end trips to Europe weren’t enough to inspire him back at his studio in New York City. As he approached 30 he sank into depression, sitting for days at a time before his easel ‘in hopeless unhappiness, unable to raise a hand to break the spell. In 1912 he took his first trip to Gloucester, Mass., which broke that spell. He spent the summers of 1914 and 1915 in Ogunquit, Maine, and returned to the coast again and again. 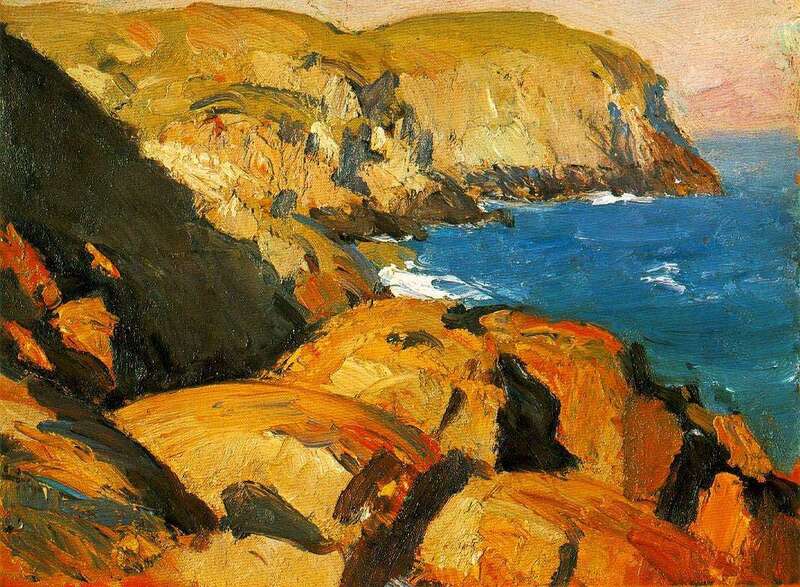 In 1916-1919 he went to Monhegan Island in Maine. There he carted around wood panels, usually 12” by 16,” and painted the rocky cliffs with thick, loose strokes. He was back in Gloucester in 1923 for the city’s 300th anniversary celebration. That was the year he started painting in watercolor, an excellent medium for New England’s light. Painting next to him was fellow student Jo Nivison, who he married the next year. 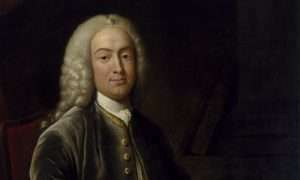 Jo modeled for many of the women in his paintings. – like Cape Cod Morning. 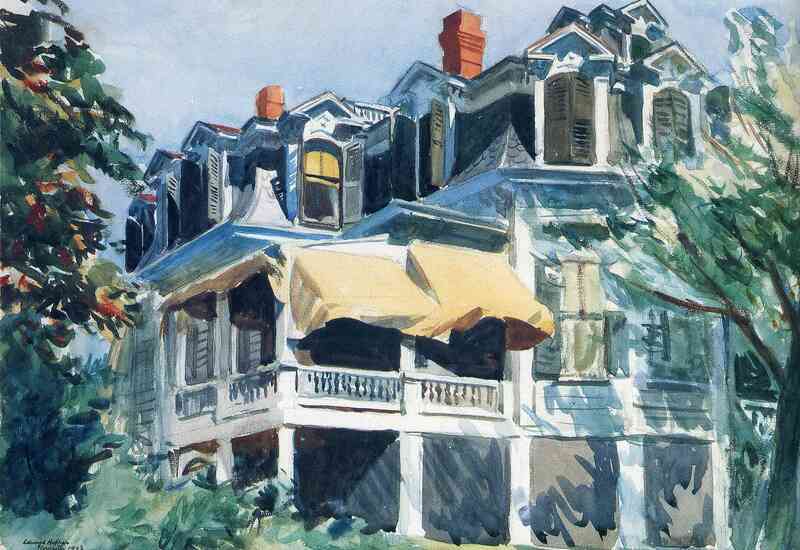 Edward Hopper once said all he wanted to do was ‘to paint sunlight on the side of a house.’ In Gloucester in 1923 he painted the superb The Mansard Roof, treating light and shadow in a way that gave an inanimate structure life and motion. The Brooklyn Museum bought the painting, and a show of his watercolors then sold out. Hopper was in his 40s and coming into his own. During his lifetime he painted more than 100 works from Gloucester, returning in 1924, 1926 and 1928. In 1927 he sold Two on the Aisle for $1,500, the most he’d ever sold a painting for, and he bought a car with the money. The car allowed him to explore more of New England – Rockland and Portland in Maine, South Royalton in Vermont, South Truro on Cape Cod. On a visit to Portland in 1927 he painted one of his many lighthouses, Lighthouse and Buildings. I chose to live here because it has a longer summer season. I like Maine very much, but it gets so cold in the fall. There's something soft about Cape Cod that doesn't appeal to me too much. But there's a beautiful light there -- very luminous--perhaps because it's so far out to sea; an island almost. Instead of mansard roofs and cliffs, sand dunes and rolling hills made up the Cape’s landscape. 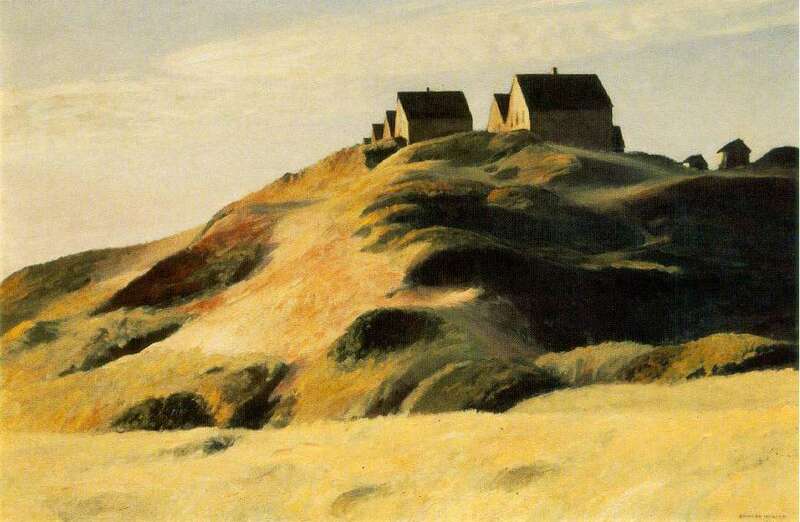 Edward Hopper tackled that subject on his first summer on Cape Cod in 1930 with paintings like Corn Hill. 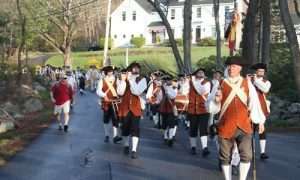 At first they rented houses in South Truro. Then in 1934, the Hoppers built their summer house in South Truro, a simple, shingled house. The Hoppers also took side trips in the summer, to the Southwest, Mexico and Vermont. From 1935-38, they visited Vermont. In ’37 and ’38 they stayed in South Royalton, near White River Junction. 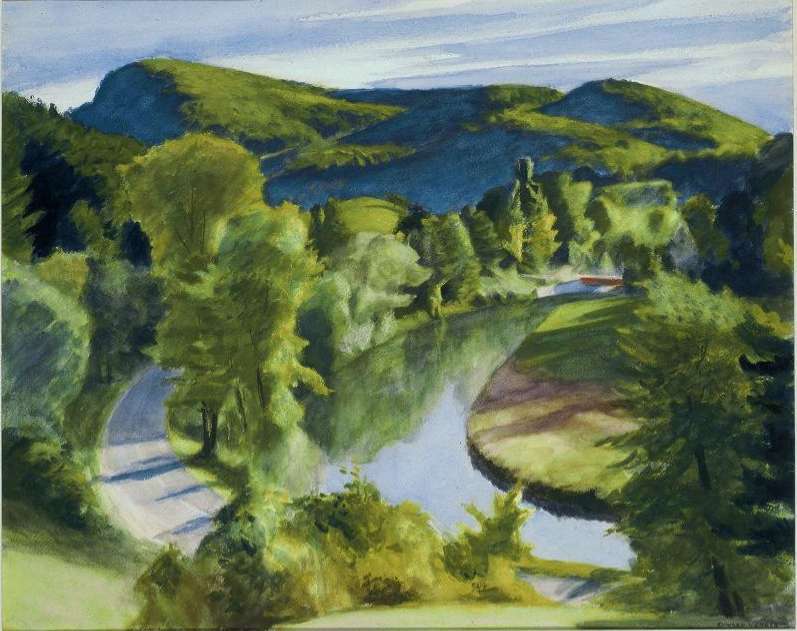 There Edward Hopper painted some of his best watercolor landscapes. In 1939 he painted Cape Cod Afternoon – an image of an imaginary place he pieced together from bits and pieces in the vicinity. A doorway came from Orleans, the billowing grass from South Truro. His paintings began to explore the themes of isolation and solitude: There were more small houses, more interiors, more lonely people. And he continued to invent. 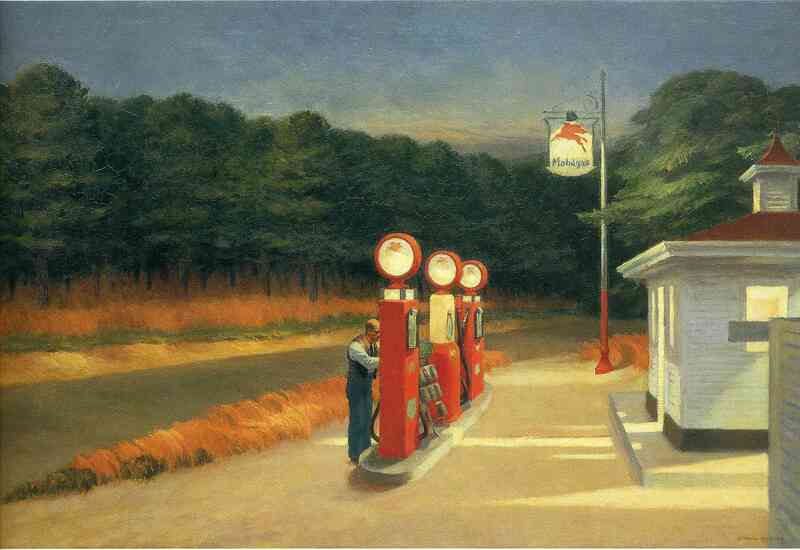 Gas, like Cape Cod Afternoon, was a pastiche of elements he’d seen and sketched in different places. In the late 1940s his creative juices dried up, and he told a friend he wished he could paint because he was tired of reading and going to the movies. 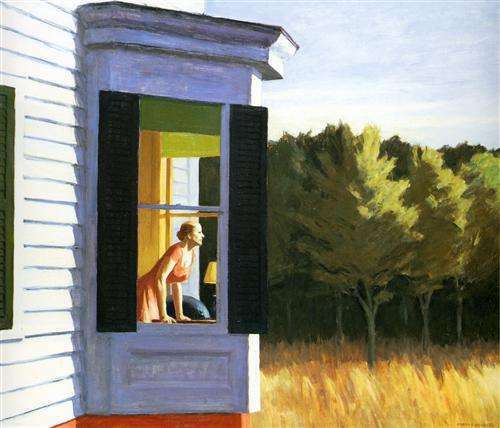 Edward Hopper did paint Cape Cod Morning in 1950 with Jo, as was often the case, posing as the woman in the window. He suffered health problems in the 1950s and painted only about five paintings a year in the 1960s. Then on May 15, 1967, he died. Jo bequeathed his work, more than 3,000 pieces, to the Whitney Museum of American Art. She died 10 months later. With thanks to Edward Hopper’s New England by Carl Little. 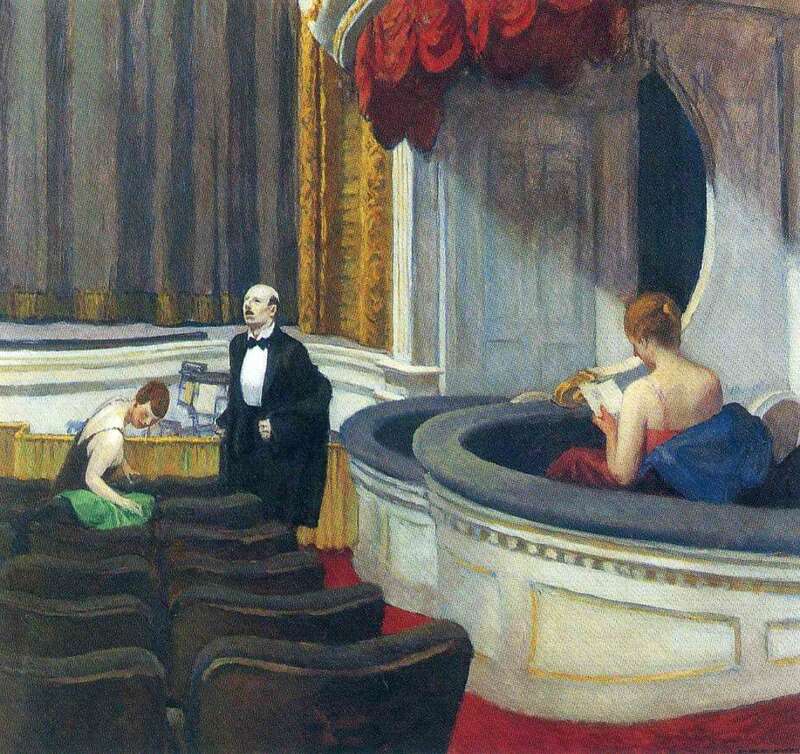 This story about Edward Hopper was updated in 2019.